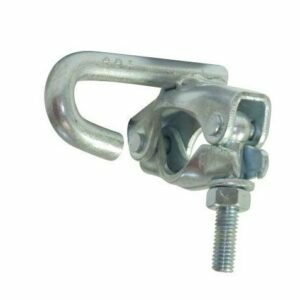 A medium to heavy duty scaffold restraint bracket used for punching of scaffolding tubes vertically off a solid base material. 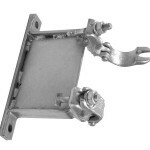 Made from zinc plated mild steel and fitted with two drop forged fittings. It has twin holes of 14mm diameter spaced 225mm apart designed to spread the load through the base material or across multiple brick courses. SCB24 has spacing of 140mm from the facing wall to the inside face of the tube.